Among vodka, caviar and other wonderful creations of nature, Russia has also a lot to offer to photographers in the chase of extreme sensations! At the time of Soviet Union, there were a lot of cameras manufactured there. LOMO, which stands for Leningradskoïe Optiko-Mekhanitcheskoïe Obiedinienie (don’t ask me to pronounce it!) was probably one of the most prolific and is still renown nowadays. They’ve produced a wide range of affordable cameras and participated in the democratization of photography over there by creating replicas of high-end models. Today you can find these cameras, in working order, for almost nothing. The one we are going to talk about is the Smena 8M. It cost me 1$ (plus 20$ of shipping) but it’s a real bargain considering its specs. What’s so special about the Smena 8M? 1 – This cheap plastic body carries a very capable lens made of glass. Usually, cameras in this range use plastic lenses but not this one. It has a special coating that helps to reduce lens flare, increase contrast and saturation. It’s a 40mm that open from F/4 to f/16. Not a very fast lens but the leaf shutter allows to shoot handheld at 1/15th of a second and still, have a decently sharp image. The controls are 100% manual and you adjust everything on the lens. 2 – The second unusual point is that you can take double (and even unlimited) exposures with this camera and that’s what interest us today. 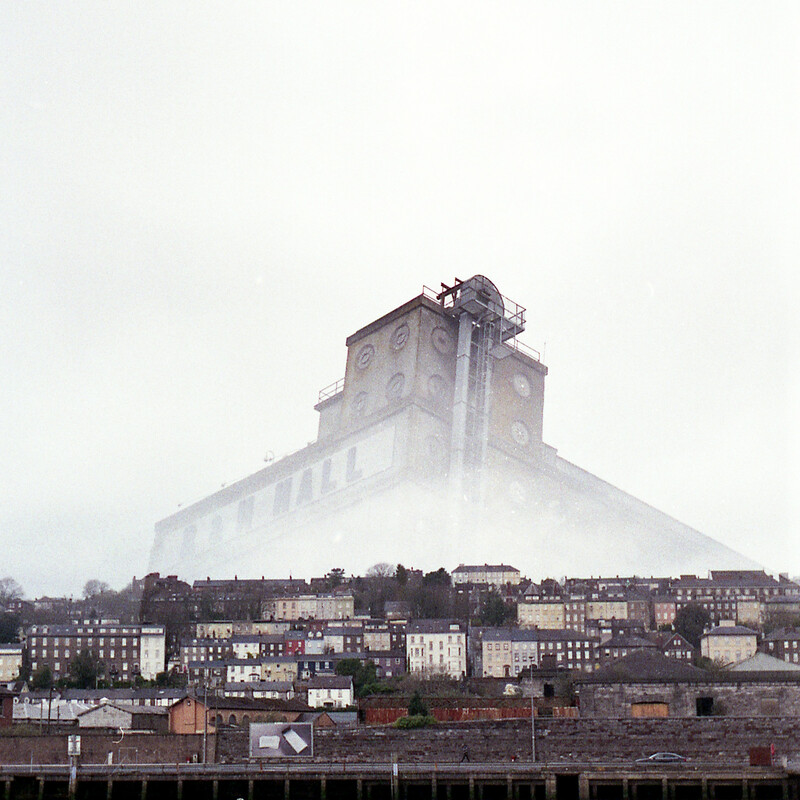 This is possible because the shutter is independent of the film advance. You can recock the shutter as many time as you want without advancing the film. 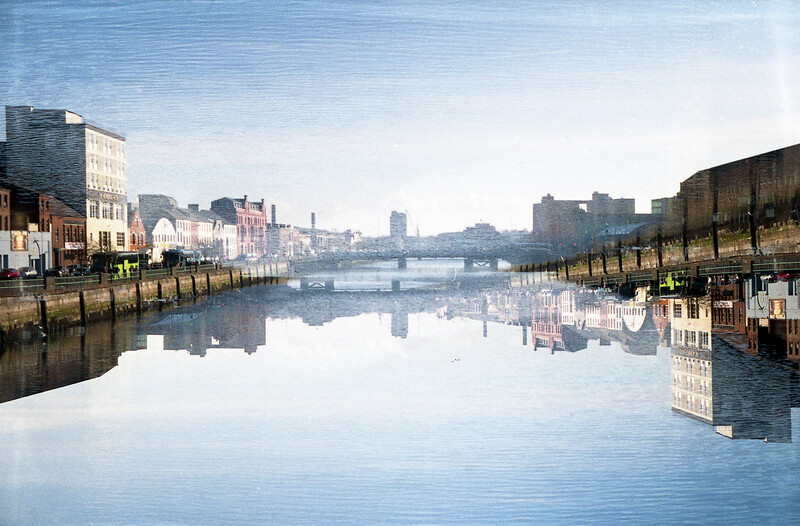 What interests me the most in double exposure is split images. I like the idea of combining 2 distinct scenes and create 1 image using a splitter. 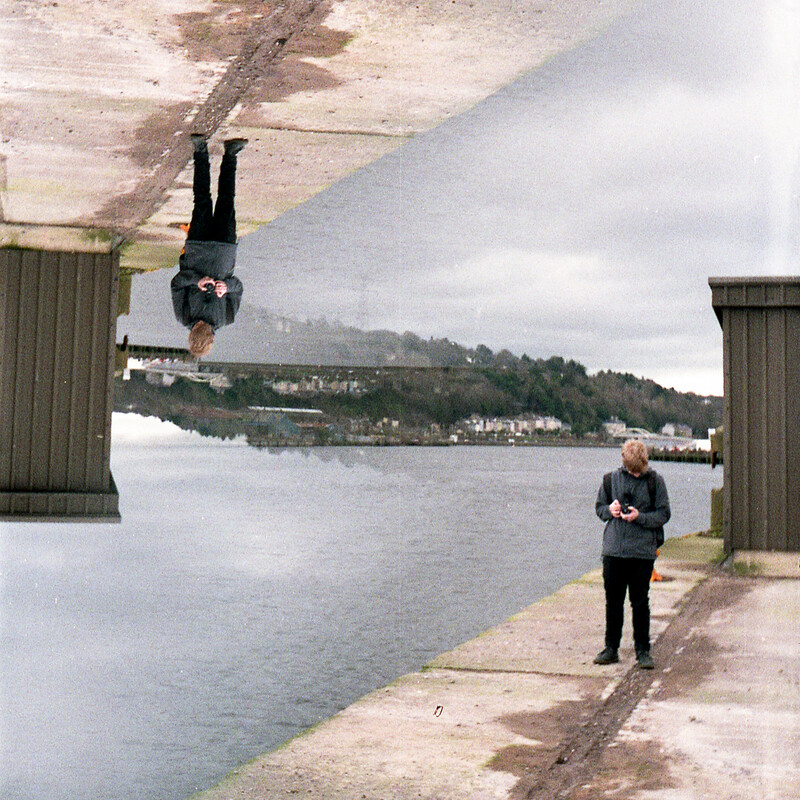 To achieve this kind of images, you can buy one of these Splitzer from Lomography (which will cost your more that the camera itself), this will allow you to cover one part of your image when exposing, then hide the other side and expose the opposite part of the film. 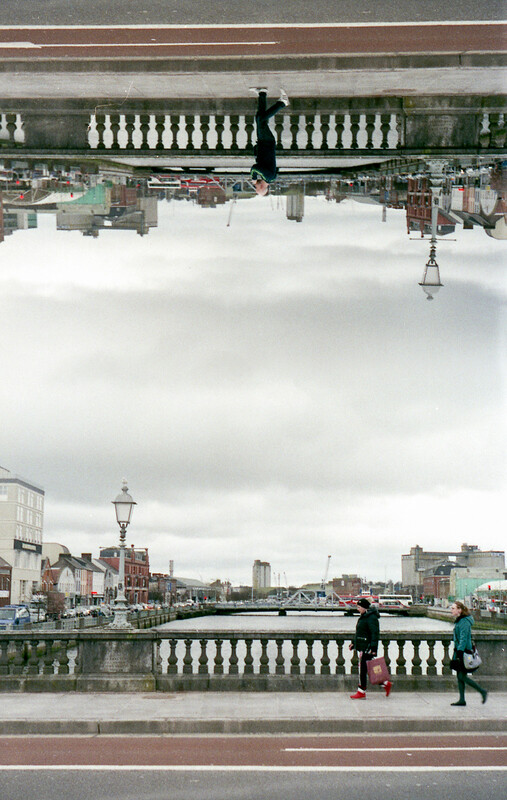 Or you can keep reading and see how to do one for free that will fit (almost) perfectly on your SMENA 8M. To make it fit perfectly inside the lens, you might have to trim lightly on the edges. Now you simply have to cover one-half of your lens (horizontal or vertical), expose your film, turn the splitter to cover the other half, recock the shutter without advancing the film and expose again. 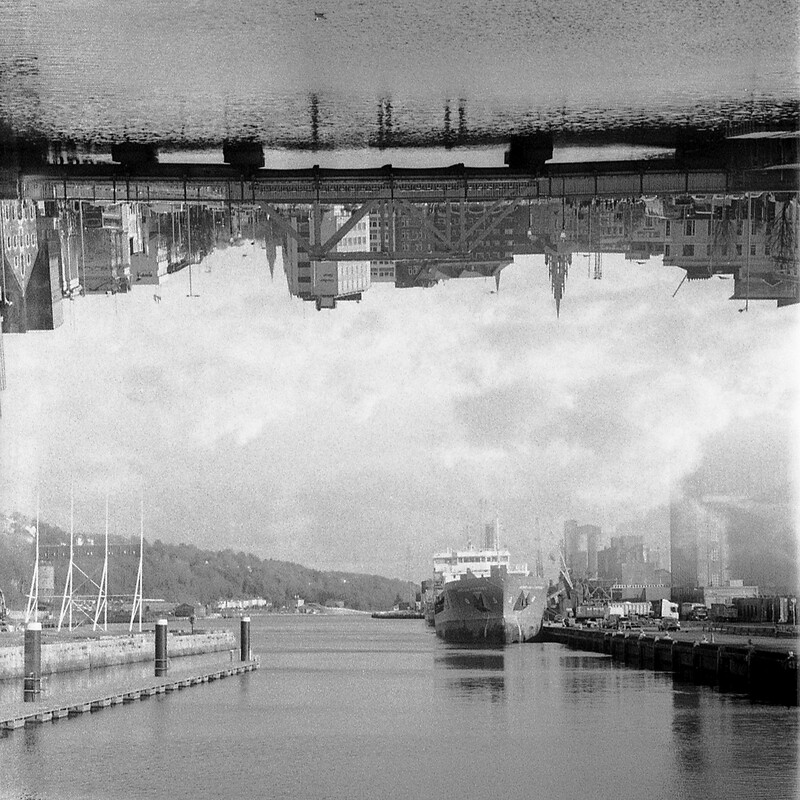 If you want to take this one step further and do this kind of upside-down images, you just have to cover the top of the frame and expose. Then you cover the other half and put the camera upside-down and expose again. It takes a bit of practice to visualise a scene this way and imagine how it will merge with the other but it’s a very good exercise to develop your creativity. I’d failed a couple of times (and still do) so I’d suggest to train with one of these 2 cheap films until you are comfortable with the process. I hope you enjoyed this introduction to double exposures and maybe it gave you some creative ideas. Let me know in the comment if you have any other tips to create cool effects with your cameras!